As revealed through a tweet today by Arrow star Stephen Amell, The CW has chosen to pick-up a full season order of the freshman drama. The order entails receiving and producing scripts for the remaining back nine episodes, increasing the episode total from 13 to the full 22. 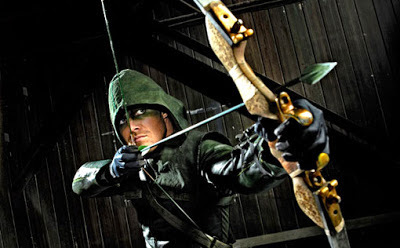 Arrow premiered two weeks ago and came out strong in the ratings. It became The CW's highest rated fall premiere date in three years since the premiere of The Vampire Diaries in 2009. What makes this news even more promising is that Arrow has only aired two episodes before receiving the full season pick-up. In regards to The CW's other new rookie fall shows, E! Online has reported that the network has ordered three more scripts each for both Emily Owens, M.D. and Beauty and the Beast. Are you excited for the season pick-up? Shout out in the comments and let me know what you thought about the series so far.